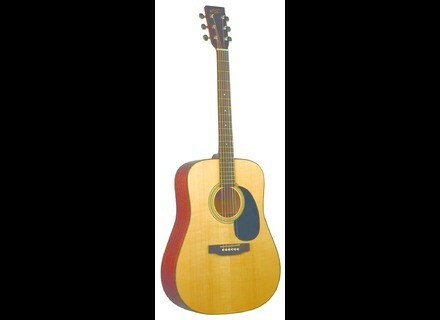 RD-10, Dreadnought Steel String Guitar from Recording King. The Recording King RD-10 is a solid guitar with a street price of $349. Beginning with a solid Sitka spruce top with hand-scalloped bracing and solid mahogany back and sides, the RD-10 is designed to have the full-bodied tone of a dreadnought guitar. The neck has a C-shape and the 1-11/16” bone nut is spaced for strumming or precise picking. The guitar's scale is 25.4”, and it features unadorned Recording King headstock and tortoise body binding. The RD-10 has a street price of $349.99 and comes with Recording King's lifetime warranty. [NAMM] New AXL Models:1216 & SRO AXL is introducing new guitar models at Summer NAMM: the 1216 and the SRO.